Here it is! 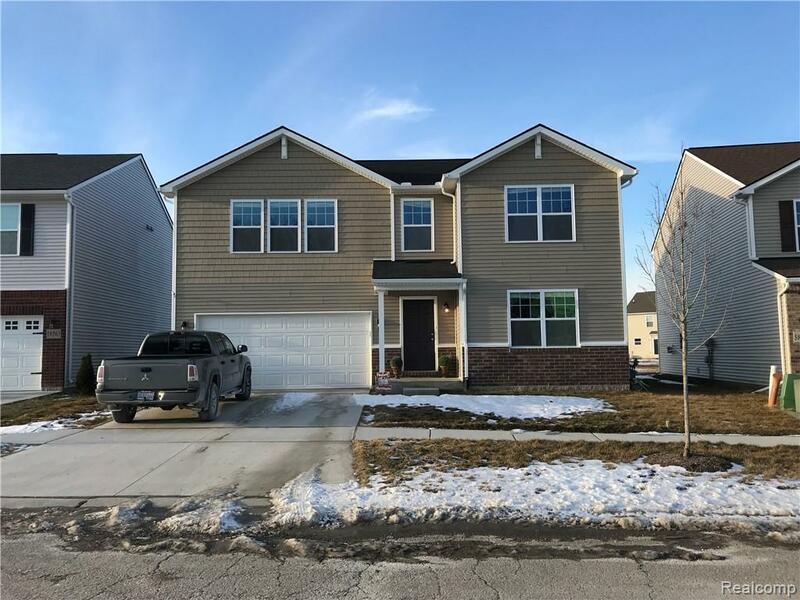 Brand New Home - Only Better! This 4BR, 2 1/2 BTH Traverse Model Lombardo-built home has tons of upgrades and then some. Built Nov. '17 the additions we begin w/exterior - Sod & Sprinkler system - $5K value. This open concept plan features granite counters throughout, upgraded kitchen Oak cabinets, expanded shower system in MBTH. Upgraded Lighting pkg and beautiful hardwood plank flooring on 1st floor give warm, inviting feel combined with gorgeous Bellevue Stone Mantle over the family room fireplace give it a wonderful cozy ambiance. 2nd Floor has a large loft area -perfect for kids play area or entertainment room. This home is in a family friendly Pembrooke subdivision and has a community play structure. Located very close to Gratiot and within minutes of shopping and freeways. Very well maintained home is looking for that perfect buyer! Could you be the one? Only one on the market of it's kind.